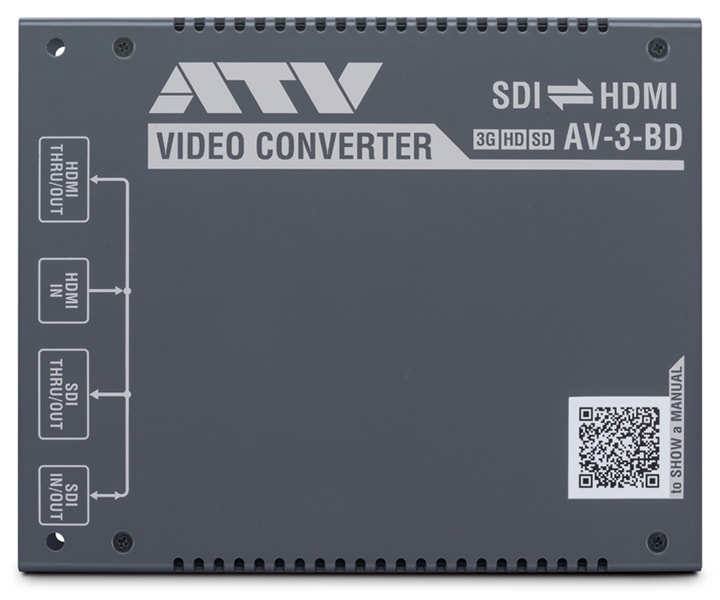 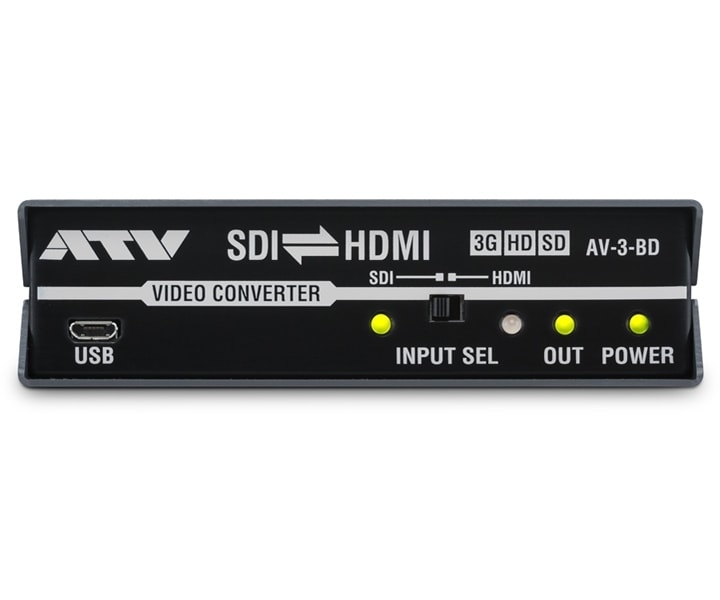 The AV-3-BD can convert between HDMI and SDI in either direction. 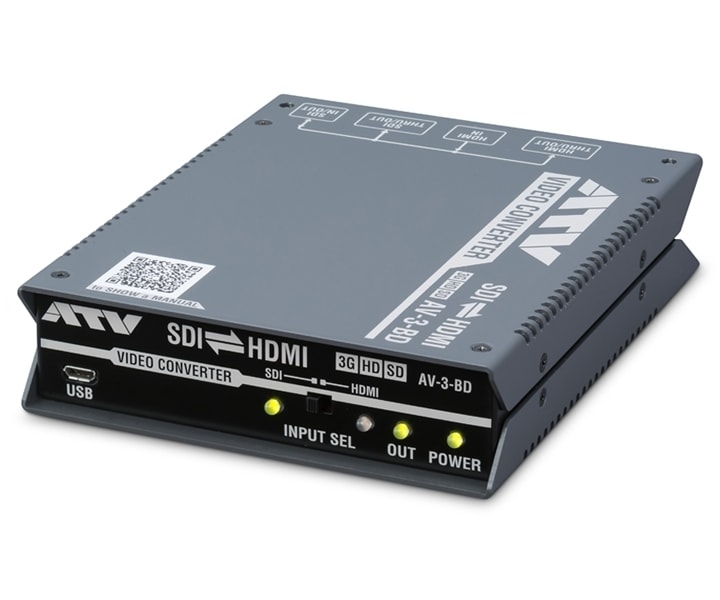 Though compact, the model provides good support for high-end use. 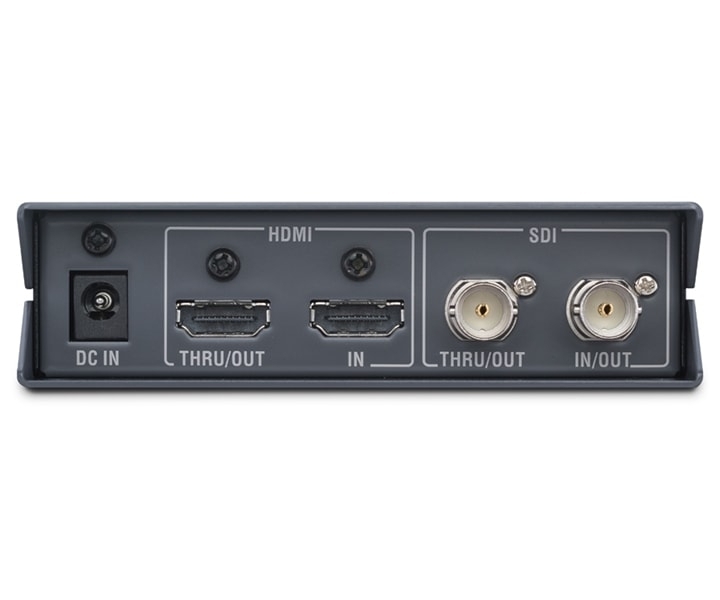 This unit can output the same throughput (loop through output) or internal processing to match an incoming signal and so is also usable as a dual system signal distributor.